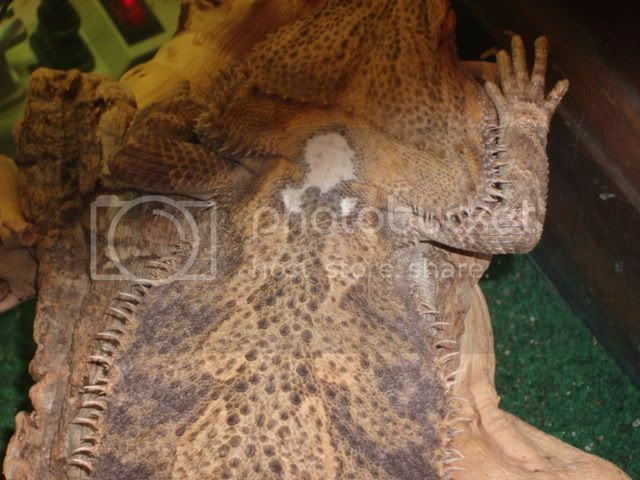 Yeah, I had a bearded dragon rescue with a very similar marking on his neck. It was a BURN from a heat emmitter. I should have sold him as a genetic anomaly. lol!